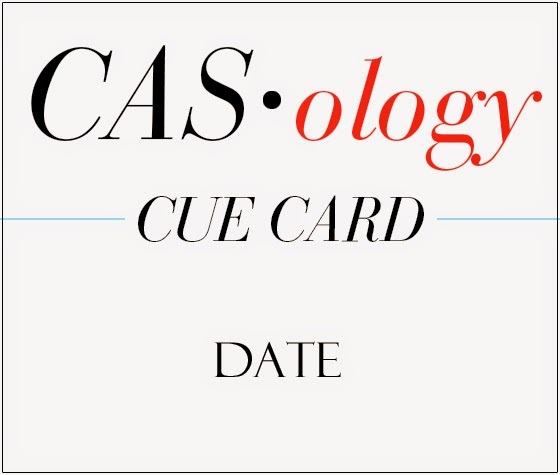 This week's CASology Cue Card is Date! 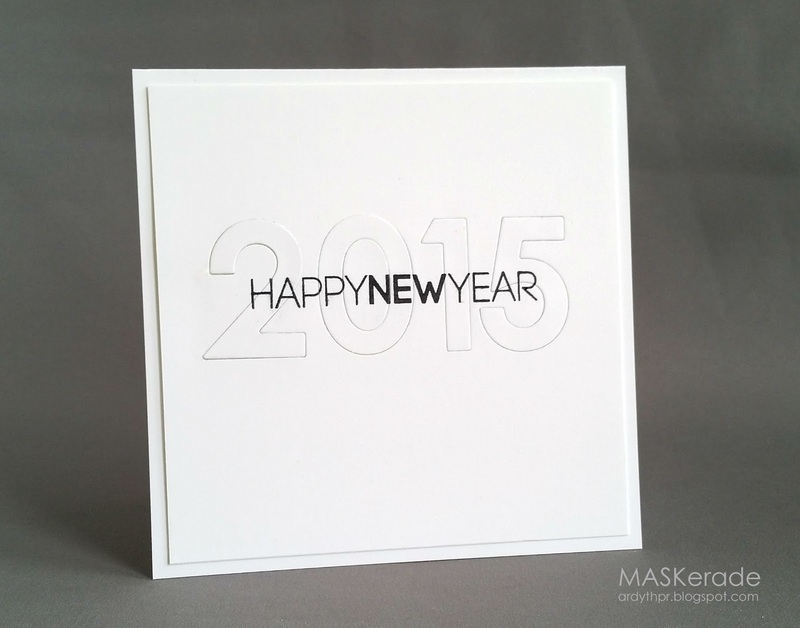 Inlaid die cuts are a popular trend right now, and I thought that they would be a simple, subtle way to add a date to my very simple New Year card. I started by stamping the Papertrey sentiment in Versafine Onyx. I then lined up the Memory Box number dies on my graph paper before laying a strip of repositionable tape across their backs (this makes proper positioning so much easier!). I cut them out of the stamped panel and then laid them back in. Before you go, don't forget to check out all the other DT Members for more inspiration - and be sure to stop by our two newest members - Kymona and Hazel - to say welcome! 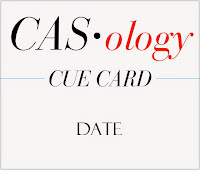 We've got a sponsor this week, too - Cindy B Designs; be sure to check out CASology for all the details! Such an effective technique, Ardyth. Looks fantastic! This is really cool. I was staring at it trying to figure out how you accomplished such straight lettering over the numbers. WOW, i love the inlay die for the year. Perfect! LOVE!! Love the clean, crispness of your card and the graph paper idea is so clever! Must remember that in future especially as I found a pad of graph paper while I was cleaning out recently. Super CAS with high impact. I would have known this was your card anywhere. Love it, and thanks for the graph paper tip. I don't know why I never thought of that! Perfection, Ardyth! So absolutely clean and simple! LOVE! Hey Ardyth!! First let me say that I'm super excited to have joined this team. It was one of your cards that brought me to CASology in the first place. Your cards always amazes me. This card does the same. I love the simplicity but elegant nature of your card. Happy 2015 to you too!! I love your beautiful creation! Simple and quite stunning! So perfect, Ardyth! Love the big inlaid numbers. Great New Year card Ardth, love how you overlaid the sentiment on the numbers. Oh, wow. That is a VERY cool look! So clean and effective -- perfect, Ardyth! Ardyth your card is Clean & Graphic perfection! Oh to think like you do! 'Simply' stunning! Thanks for 'splaining your process of stamping first, then die cutting! I likely shouldn't say this out loud, but I instantly wondered "how did she stamp the sentiment so perfectly in the grooves of the diecut letters? Genius and wonderful..love your card, Ardyth!!! Happy New Year to you...can't wait to see what you create this year:)!! Hugs! !